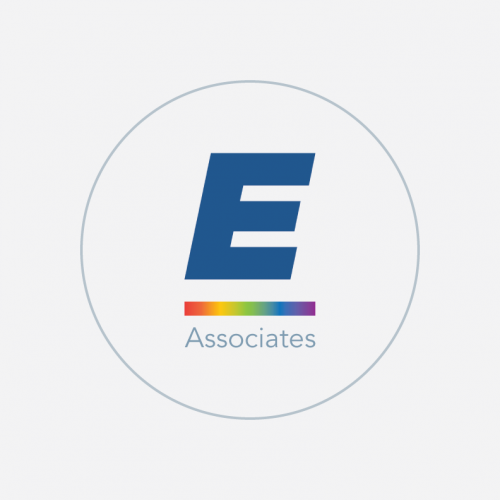 Meet our people, get acquainted with the culture and philosophy behind everything we do and the things that trully matter for our organisation. Emphasys Centre is approved by the Ministry of Education and Culture as an Education and ICT Training Centre, offering training courses to professionals, adults, young people and students thus promoting digital skills. 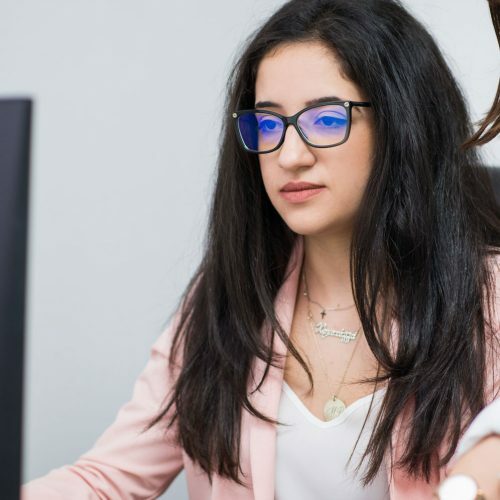 More specifically, it offers specialized courses for professional development, validated courses for the acquisition of professional qualifications, as well as courses for students aiming to enter higher education institutions (universities) in the UK, Greece and Cyprus. Providing training courses in the field of ICT to professionals, adults and young learners. Accredited by the Cyprus Ministry of Education and Culture as a Private Educational Centre specializing in the ICT field. Implementation, management and coordination of European and National Research Projects: European Social Funds, Lifelong Learning, Erasmus+ etc. In an environment where “the only factor that remains stable is change” (Heraclitus) we began our journey to provide services related in the area of ICT at a professional and education level aiming to make a difference. Equipped with determination, passion and vision we initially set up an ICT Consultancy Services Centre, which has gradually developed into a Centre for Vocational Education and Training specializing in ICT and a Research Centre that caters for the lifelong learning of all. 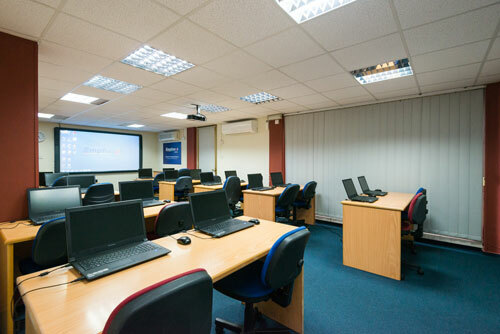 Our modern and highly equipped educational centre, is comprised of spacious labrooms that include facilities such as interactive boards, latest technology computer equipment as well as a wide range of robots which enables us to offer an engaging learning experience. In addition, our centre provides a state of the art conference facilities. We take pride in the multiple awards and accreditations we’ve acquired through the years. We owe this ongoing success to the hard work of our students, educators and staff. Experienced and dedicated teachers ready to facilitate the needs of each learner. Motivating our students and creating a friendly and relaxing atmosphere. Our passion for effectiveness and competitiveness in the educational services. 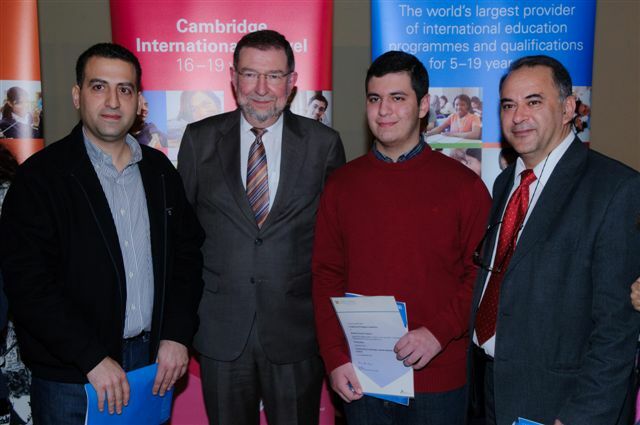 Our students’ results have been numerous throughout the last years. Athos Charalambides is the founder and director of Emphasys Centre. He has studied in the UK where he has obtained a BSc in Computer Science and an MSc in User Interface Design. 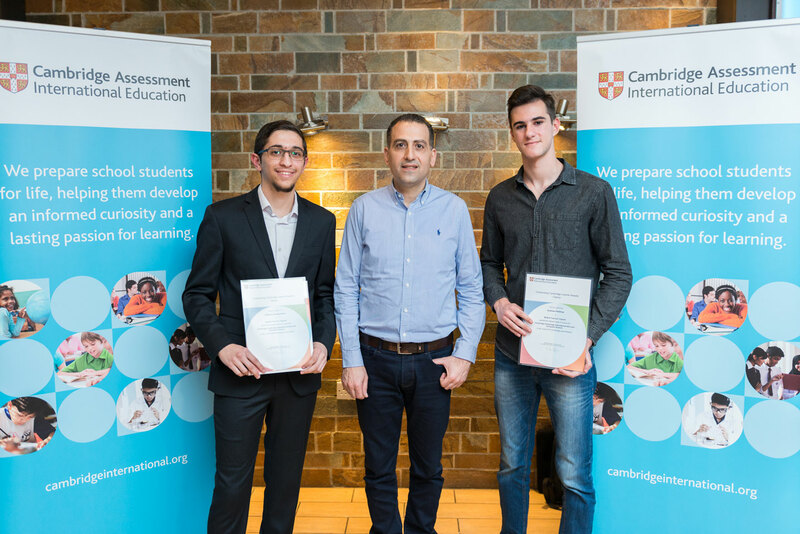 He has worked for several years as a software developer both in the UK and Cyprus earning valuable work experience within the labour market. Equipped with determination and vision to offer high quality targeted services in the field of education and training, together with his passion for teaching and learning, he has set up the Emphasys Education and ICT Training Centre. Based on the idea that ‘education is our passport to the future’ he managed to create a highly successful educational centre that caters for the needs of learners living in the digitalised economy. His restless spirit has led him to extend his expertise into the area of research, innovation and experimentation. His passion for quality, professionalism and development made him set up the Emphasys Research Centre with the scope to expand the activities of the organization at the EU level. Through the development, implementation and coordination of EU research projects that contribute towards meeting the targets of the ET2020 Strategy and the Digital Agenda for Europe, he opened new routes for trans-national collaborations with various organisations across Europe. In the last years he has seen the Emphasys Centre grow into a well-established organization in the European level, member of the European Digital Learning Network (DLEARN) and a leading organization into the promotion of the Grand Coalition of Digital Jobs. The eagerness to keep up to date with technology and with the recommendations of the European Commission has led him to set up the Robotics Unit that promotes STEAM skills and coding competences. Based on his great experience in management and coordination, Athos is currently supervising a great number of Erasmus+ projects in all sectors, while being involved in the production of custom-made tools and implementation of courses and programmes. 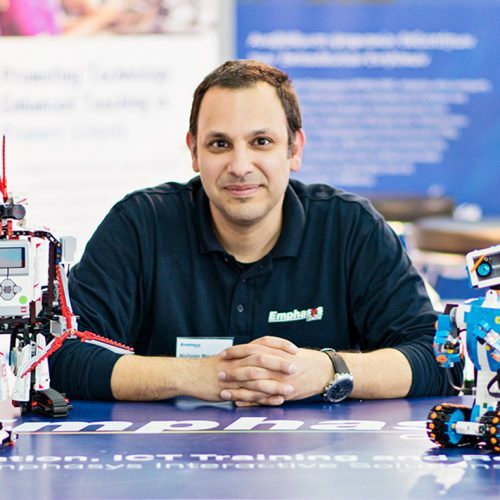 Nicholas Moudouros is the Head of Training and Development Department as well as the Head of the Robotics Unit. He is an ICT specialist and an educationalist with advanced studies (MSc) in Computer Science and Data Communication Systems in the UK. He has joined the ‘Emphasys Centre’ team more than 10 years ago when he started his journey into the world of teaching. He has been fascinated by the impact that a ‘teacher’ can have on the lives of his students and since then he makes every effort to motivate them and trigger their interest into the field of STEM and Robotics. Nicholas has been involved in the design, implementation and assessment of various professional development courses, as well as tools / applications and has gained great experience working with learners of various ages and abilities. He has successfully managed and implemented numerous EU projects in KA1 and KA2 in the School, Adult and VET Sectors. His current interests lie within the field of robotics, internet of things devices (e.g. Raspberry Pi, Echo Dot) and blockchain decentralized applications. Nicholas is a technology enthusiast and believes in a world where technology, robotics and science-based education can bring humanity to a better tomorrow. Apart from teaching, Nicholas is currently involved in the implementation of Erasmus+ projects while taking a leading role in the quality assurance of products and materials being developed within the organisation. 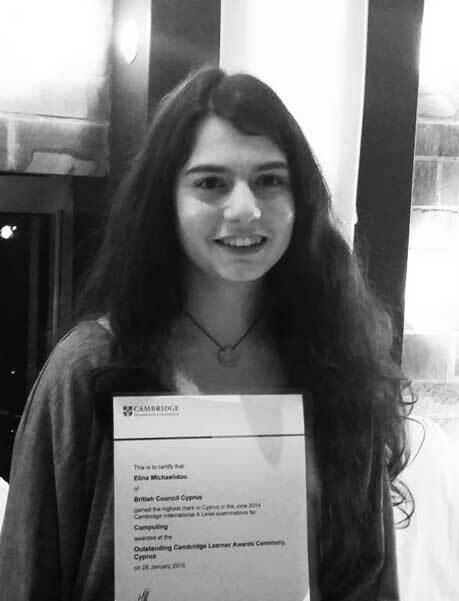 Demetra Orthodoxou is a logistic minded professional with advanced studies (MSc) in Operations Research and Logistics from Wageningen University (Netherlands) and a BSc degree from Liverpool University in Computer Science. Her advanced communication, interpersonal and problem solving skills, together with her determination and adaptability to work and live in different environments supported her extremely well during her studies. Demetra strongly believes that ‘computing’ is not just a field of sciences, but a ‘way of thinking out of the box’. She is a great supporter of the benefits that computational logic and algorithms can provide to students’ overall learning. She has a particular interest for further research in the fields of education, training, youth and sport that stem from her broad studies in different European educational systems. During the last years Demetra has gained valuable experience working with multicultural and multidisciplinary teams, both in formal and non-formal settings with a variety of learners of all ages. Based on this, she has developed an urge and passion to work with young people aiming to motivate and open up new routes in their career and orientation. Being sensitive on social and environmental aspects of our lives, Demetra has taken an active role in setting up volunteering activities within her community. She is currently a Project Coordinator in numerous Erasmus+ projects in all sectors with a specific focus on topics related to digital literacy, social entrepreneurship, career guidance and employability skills. She has been involved in the development, implementation and assessment of both training programmes, on-line tools and platforms. Demetra is also engaged in the quality assurance process of products and procedures. 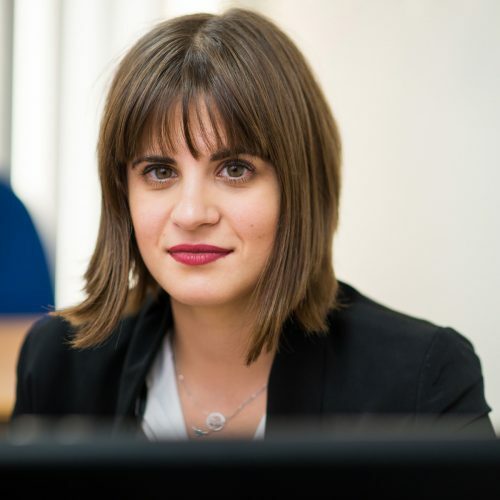 Chrystalla Thrasyvoulou is an IT professional (MSc) in Information Systems and (BSc) in Business Information Technology from the University of Portsmouth in the United Kingdom. She joined the Emphasys team equipped with passion and enthusiasm to explore the power of IT through various channels such as social media, e-business and e-commerce. Chrystalla combined her passion for IT with her hidden creative talents which are now linked with website, graphic, image and video editing. She is a highly organised person with strong communication, management and coordination skills. She believes that strong communication, collaboration and commitment are essential ingredients for success. She sets high standards and works hard to achieve them. She is currently working as a Project Research Officer in many EU projects taking the responsibility of the management and implementation, as well as the development and assessment of various tools, e-learning courses and products. She is also the leader of the dissemination strategy of the of European research projects and has created a strong network of associate partners for the promotion and visibility of the projects’ results and products. Katerina Giannakaki has a BSc degree from the Faculty of Philosophy, Pedagogy and Psychology of the University of Athens, with a major in Psychology. The combination of different disciplines allowed her to engage in a broad study curriculum which showed her how Psychology and Education can be integrated to benefit society as a whole as well as the individual. She pursued a BSc in Psychology at the University of Kent, which enhanced her knowledge and gave her the opportunity to be able to practice Psychology professionally. Her postgraduate degree (MSc) at the University of Nottingham in Occupational Psychology enhanced her organisational and research skills while adding the aspect of business orientation in her career. She is currently working as a Research Project Officer and is responsible for the implementation of Erasmus+ projects in the field of Adult, School and Youth sector. Her interests lie within the scope of social issues, active citizenship, employability skills and empowering young people to explore their full potentials in life. Andrianna Georgiou is a Master of Architecture graduate from United Kingdom. Her passion for mixed used media in collaboration with her creative background, have led to a wide range of work experience, including administration and technical support for projects on a global scale, coordination of complex architectural projects, as well as management of digital marketing on various platforms. An organization-oriented individual, Andrianna enjoys working in a varied and challenging environment, able to take on and break up large projects into easily manageable parts. She believes that technological education can offer limitless potential to persons of all ages and backgrounds, and can be a resource for personal as well as professional advancement. Andrianna is a Project Research Officer and is responsible for the implementation and management of various EU research projects in the VET and Adult Sectors. Her creative background has supported her in the development of various design oriented products and tools. Andrianna has an active role in the promotion and visibility of the organization through various channels, as well as the expansion of its network. 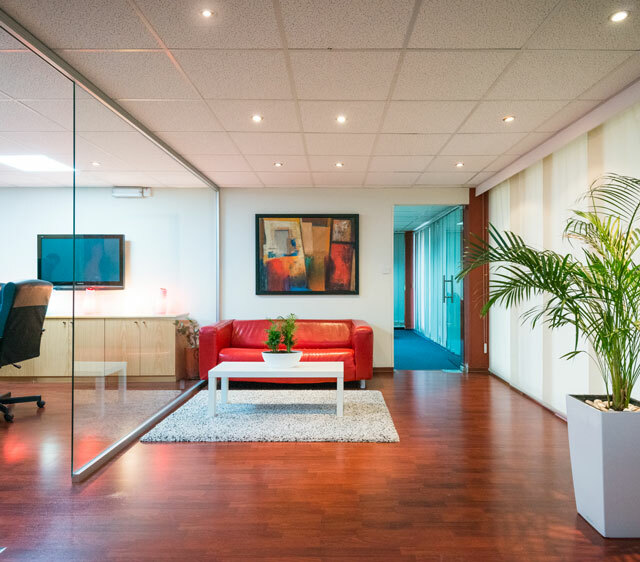 A large number associates and consultants work in close cooperation with our organisaiton for the provision of adequate and relevant expertise and services depending on the needs and requirements of our projects.